The *Ginger Sparkle shower collection comes in a fun gingerbread man shaped gift tin which I'm totally going to keep things in after I've used up all of the contents. I love a gift set that comes with something reusable you can keep. Inside the tin you get four bath and shower products all in a warm and spicy ginger scent - shower gel, body polish, body butter and a mini soap. 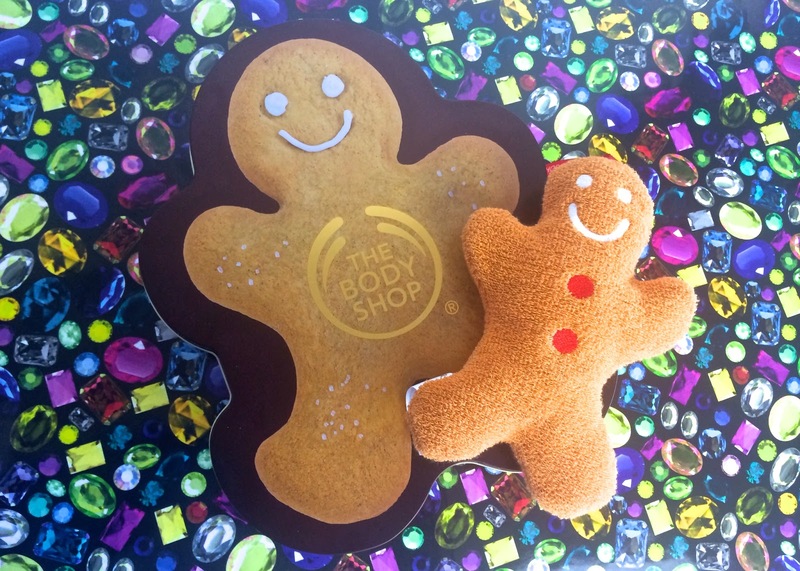 The Body Shop has some great Christmas gifts out this year and what you may not realise is that by buying their sets for your friends and family you're also helping a rather amazing cause. £200,000 from sales of The Body Shop's 2013 Christmas gifts will be going towards building five new schools for kids who otherwise wouldn't have access to education in India, Nepal, Ghana and Honduras. You can find out more about the school project here. 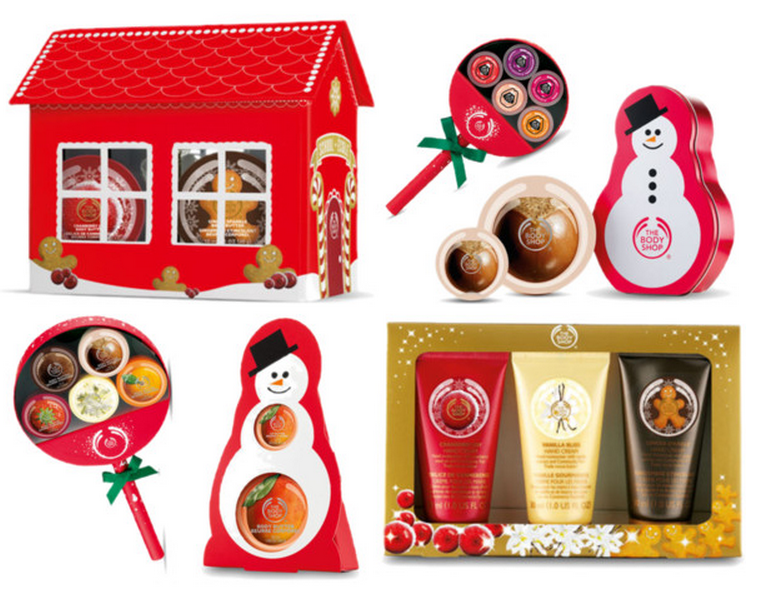 Here are a few of the other gift sets I have my eye on from this year's range. Hi there =) Omg that look too good! For a moment I didn't actually realized that was a Body Shop product - that's soo cool, I want one! It looks incredible, I can only imagine how wonderful all those products smell. 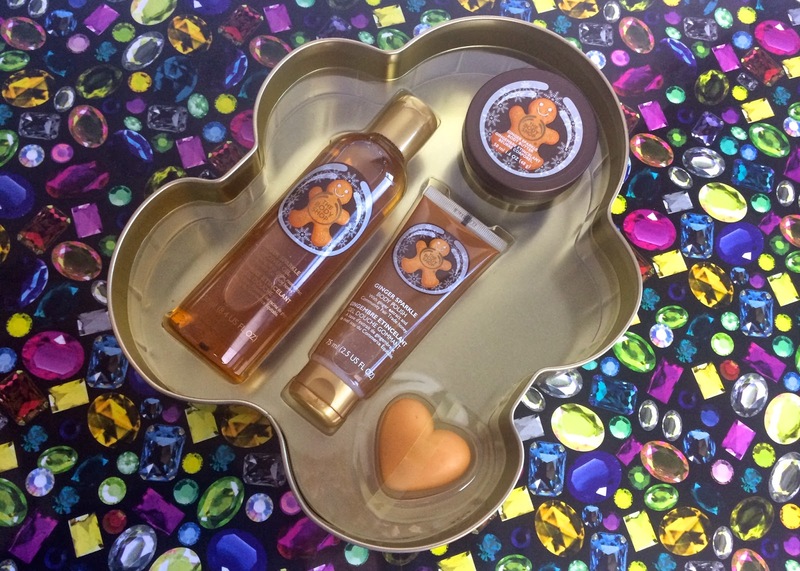 Awww loving the gingerbread man goodies! I think the sponge might be too cute to use!